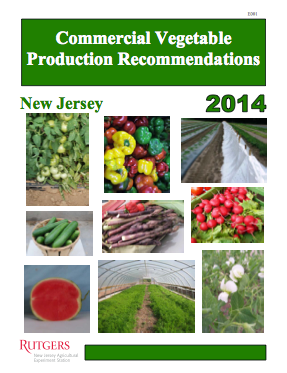 The Rutgers Commercial Vegetable Production Recommendations for NJ, newly updated for 2014, is available for free download. Each section, crop, and topic is available separately. Having printed copies in your pesticide building or in pickup truck is also desirable. Contact your County Extension Office to purchase printed editions.